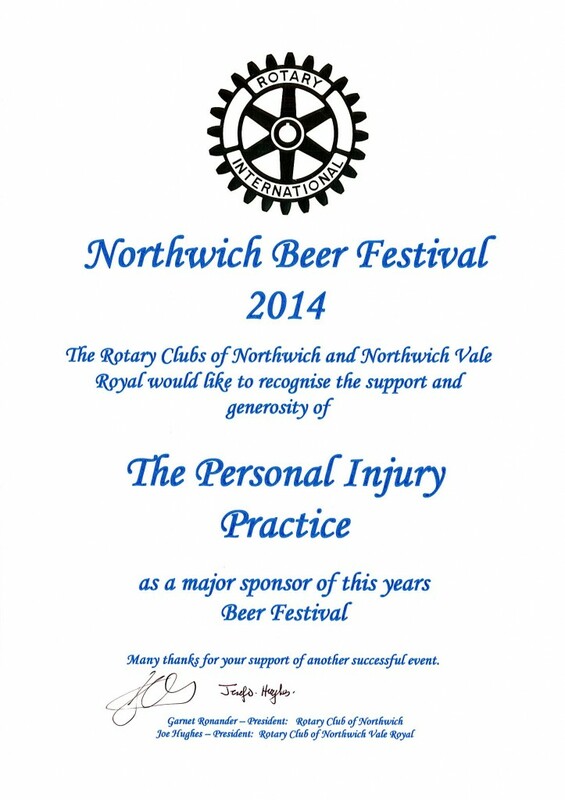 Following the recent 21st Northwich Beer Festival we would like to congratulate the organisers, the Rotary Clubs of Northwich and Northwich Vale Royal, for a great event. Stonehewer Moss and our sister company PIP Law were proud to be one of the main sponsors. As a local company Stonehewer Moss welcome the opportunity to support local community events like this. The selection of ales available at the event included old favourite Wobbly Bob from brewery Phoenix, a new Phoenix ale called Sticky Wicket, Tipsy Angel’s Angel’s Folly, Problem Child’s Scallywag and a beer from Blackjack. Festival goers also enjoyed its first alcoholic Ginger Beer, Jamaican Tom from Tom Smith’s, as well as ciders and perries. It all took place at Winnington Park Recreation Club from 5pm to 11pm on Friday, September 19, and from noon to 4pm then 7pm to 11pm on Saturday, September 20. Rotary is an International organisation that serves and helps those who are less fortunate than us. 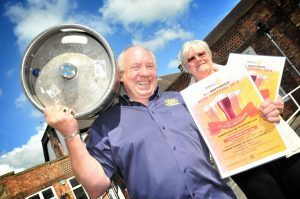 Over the years the Northwich Beer Festival has raised over £100,000 enabling us to distribute the proceeds to very many worthy causes. Here’s looking forward to the 22nd Northwich Beer Festival in 2015, due to be held in the New Memorial Court, a brand new venue due to open in Spring 2015 ! This article was added on Friday, October 17th, 2014 at 12:23 pm and is categorised under Cheshire News, General News, Northwich Events. Both comments and pings are currently closed. Error: Error validating access token: Session has expired on Saturday, 09-Mar-19 13:12:58 PST. The current time is Thursday, 25-Apr-19 21:47:57 PDT.